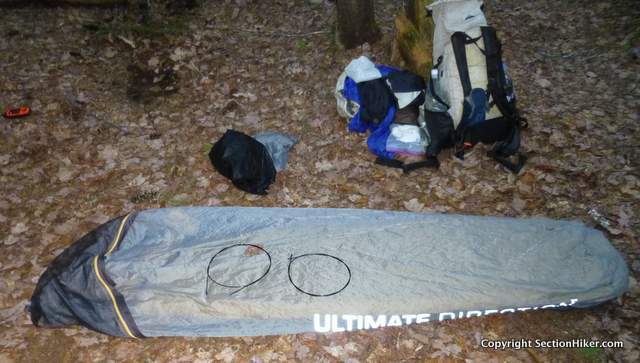 The FK Bivy is ultralight, but not terribly comfortable or durable. While it does provide insect and rain-splatter protection, it’s difficult to enter and exit and must be handled with care. 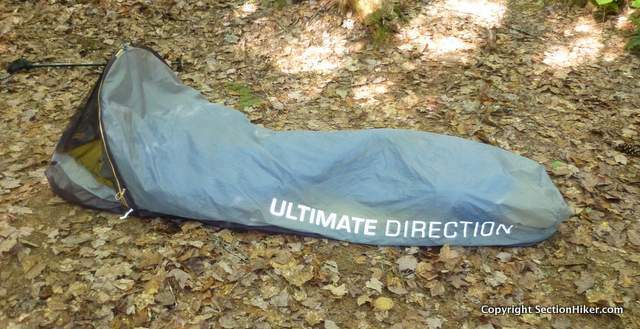 The Ultimate Direction FK Bivy is a bug-proof bivy sack designed to be used under a tarp shelter. It has a self-standing hood with two flexible wire-rods to keep the mosquito netting off your face, backed by solid fabric panels that can be rolled down for added wind protection and warmth. But the FK Bivy is very cramped inside and a lot less comfortable than it sounds. It’s also quite fragile and surprisingly easy to damage, even with light use. I’d give this one a pass. Fully waterproof and bug-proof, minimalist shelters like the Outdoor Research Advanced Bivy or the Rab Ridge Raider, that can be used in three or four season weather, instead of a tent and footprint. Sleeping bag covers that provide wind, splash-back, and insect protection, but must be used together with a waterproof tarp, and often with a thin plastic sheet for moisture protection from the ground. The Ultimate Direction FK Bivy falls squarely into the sleeping bag cover category, because it’s not sufficiently waterproof to be used alone in rain. Its main function is to provide warmth by blocking convective heat loss from the wind, deflect any rain that might splash back under your tarp, and insect protection. That said, you could also use it as a standalone shelter for wind and bug protection, if rain isn’t an issue. The hood is held up by two wires. Note top snap, to hold wire in place. 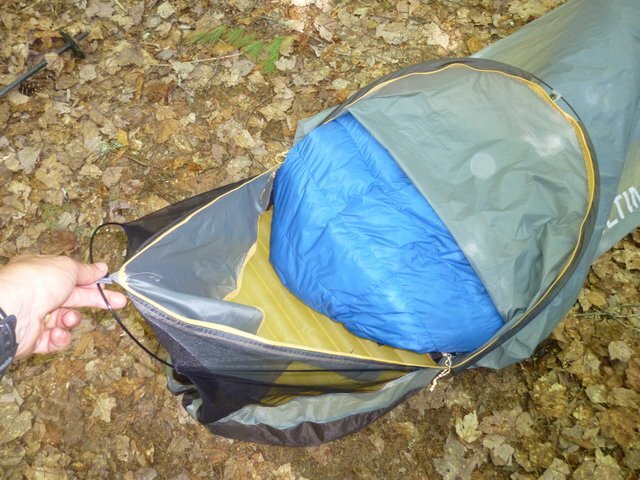 The first question you want to ask about a bivy sack, is how easy is it to get in and out. Because if you’re like most people, you need to get up to pee at night, especially if you’ve been drinking water all day. The only way to get in and out of the FK Bivy is through the hood, which I cover in more detail below. You need to slide into it feet first and somehow scootch yourself out at night to stand up, which is awkward and annoying. This product would be so much better with a side zipper, to make the process of getting in and out of the bivy easier and intuitive. I’ve owned a couple of bivy sacks and the FK Bivy is the tightest and most claustrophobic one I’ve ever used. The biggest issue is the amount of space available in the area below the hood, from your upper torso to your feet. For example, there’s barely enough space for me to lie on my back, on a 2.5 ” Therm-a-Rest NeoAir Xlite sleeping pad in a 40 degree Feathered Friends hoodless sleeping bag. It’s so tight, I can’t pull up or adjust the zipper of my bag to reduce or increase my warmth. There’s simply not enough room to move. However, there is a marked improvement in interior space if I switch to a thinner 1″ thick Therm-a-Rest Prolite sleeping pad, but forget about using this bivy sack with a thick pad and/or a puffy cold weather sleeping bag. It’s just too cramped. The FK bivy also has a sleeping pad sleeve to hold your pad in place, but it still slides around because the strap is wider (22″) than a 20″ pad and the interior floor of the bivy is very slippery. If you don’t mind the extra weight, it’s best to use the FK bivy with a full length 72″ long mummy sleeping pad, so it can’t slide as far down and away from you, and because the bivy sack is tapered at the feet. Finally, there’s the issue of length. 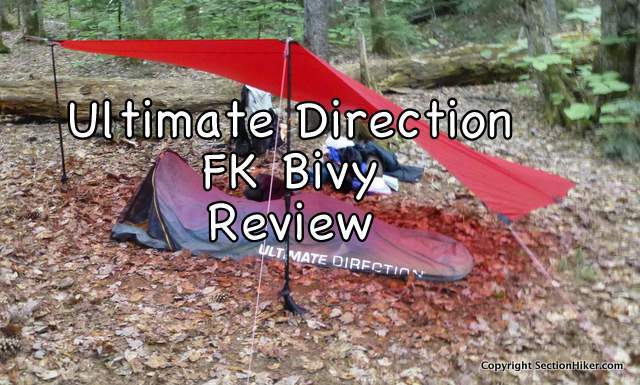 Ultimate Direction specs a size regular FK Bivy at 82″ in length. It’s just not so. The one they sent me to review is 72″ long and weighs almost 25% more than spec. 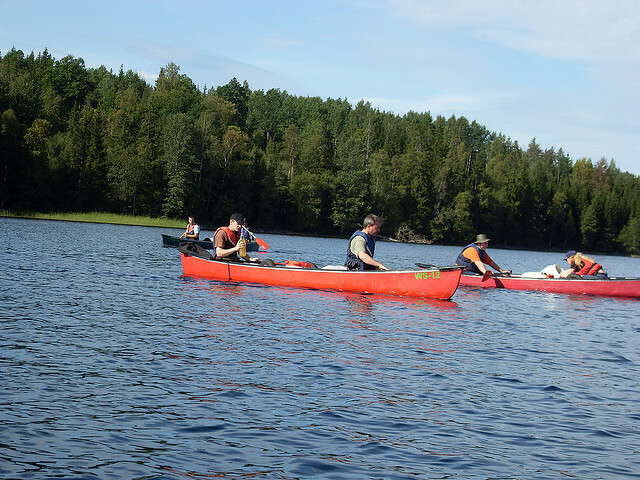 The FK Bivy’s hood is one of its distinguishing feature. While a self-standing hood is a nice luxury, it’s seldom necessary if you’re using a bivy sack with a tarp, because you can tie the mesh to a tent pole or prop it up from the inside to suspend it over your face. 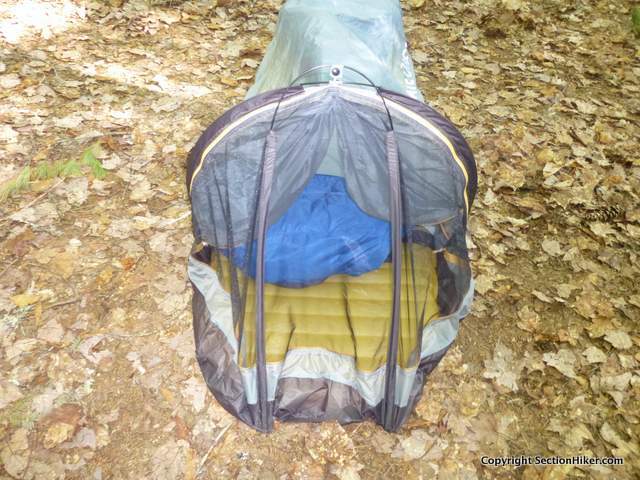 The exterior of the FK Bivy’s hood is bug proof mesh. Additionally there’s a solid pice of fabric that you can zip down over the mesh to block wind or dust from coming through it. 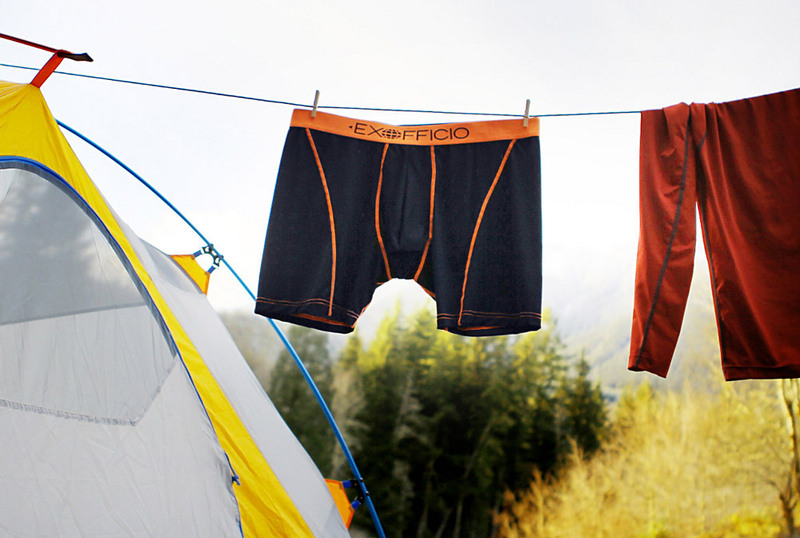 When not in use, the solid fabric can be tied back, although it has a tendency to fall back down. The hood is held up by two flexible wire rods that slip into four sleeves in the hood. Once inserted the rod is held in place with a small strip of fabric with snaps, that loops over the rod and snaps back into itself, holding the rod in place. The rods are also tipped with plastic caps to prevent them from cutting through the base of the sleeves. Unfortunately, the hood is fragile. If you tug too hard on a snap, it tears out of the fabric strip, making it impossible to keep the rod inserted. Further, when one of the end caps falls off the rod, it slices right through the base of the sleeve, again rendering the hood area useless. These are serious durability flaws, inflicted just after a few nights of use, so I’d caution you against putting too much faith in this product. While it’s exciting to see a mainstream company developing ultralight gear for trail runners and fast packers, the Ultimate Direction FK Bivy isn’t ready for prime time. 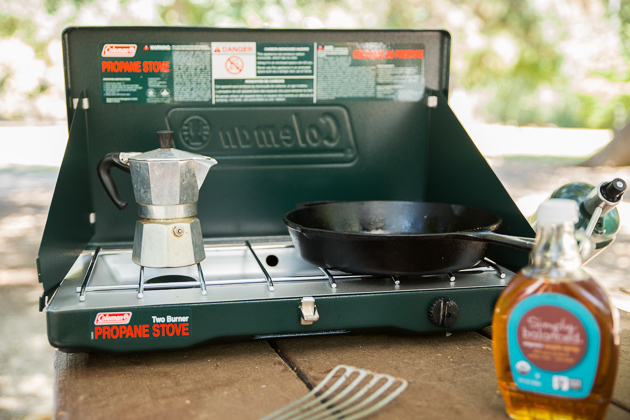 It’s too small, too difficult to use, and falls apart after light use. Reinventing the wheel is all fine and good, but this product is a flat.